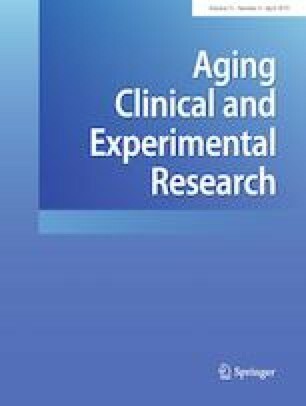 Our previous study has shown that vestibular rehabilitation (VR) is an effective technique to reduce falls in elderly patients. It would be interesting to establish patients’ clinical characteristics in which vestibular rehabilitation is expected to be more effective. Evaluate factors that could modify rehabilitation outcomes in elderly patients with previous falls. Fifty-seven patients randomized to one of the intervention group (computerized dynamic posturography—CDP—training, optokinetic stimulus or exercise at home) and with previous falls were analyzed. Patients were assessed with objective outcome measures (sensorial organization test and limits of stability—LOS—of CDP, modified timed up and go test—TUG—and number of falls) and with subjective outcome measures (dizziness handicap inventory and Short falls efficacy scale-international—Short FES-I) during a 12-month follow-up period. In the logistic regression model, a worse score in the maximum excursion (MXM), and a shorter time in the TUG significantly associated with a reduction > 50% of falls. Also, association with a higher score in the Short FES-I was close to a statistical significance. There was no statistical significance association with other covariables. In patients with reduced limits of stability, VR seems to be more effective and they should be encouraged to perform it. But on the other hand, patients with longer time in the TUG show worse outcomes and may benefit more with gait training. VR in elderly people with previous falls is effective regardless of their age and gender. We would like to thank Andrés Blanco Hortas (Fundación Instituto de Investigación Sanitaria de Santiago de Compostela) for his statistical expertise. This study was funded by the project PI11/01328, integrated into the State Plan for R + D + I 2008–2011 and funded by the ISCIII–Subdirección General de Evaluación y Fomento de la Investigación and the European Regional Development Fund: “Reduction of falls in the elderly by improving balance through vestibular rehabilitation”. The study was performed according to the protocol approved by the Independent Ethics Committee of Galicia (Protocol 2010/139). Signed informed consent was obtained from all the participants. No commercial party having a direct financial interest in the results of the research supporting this article has or will confer a benefit on the authors or on any organization with which the authors are associated.